The uneasy stalemate between vampires and humans is over. Adele and Gareth are bringing order to a free Britain, but bloody murders in London raise the specter that Adele's geomancy is failing and the vampires might return. A new power could tilt the balance back to the vampire clans. A deranged human called the Witchfinder has surfaced on the Continent, serving new vampire lords. This geomancer has found a way to make vampires immune to geomancy and intends to give his masters the ability to kill humans on a massive scale. The apocalyptic event in Edinburgh weakened Adele's geomantic abilities. If the Witchfinder can use geomancy against humanity, she may not have the power to stop him. If she can't, there is nowhere beyond his reach and no one he cannot kill. 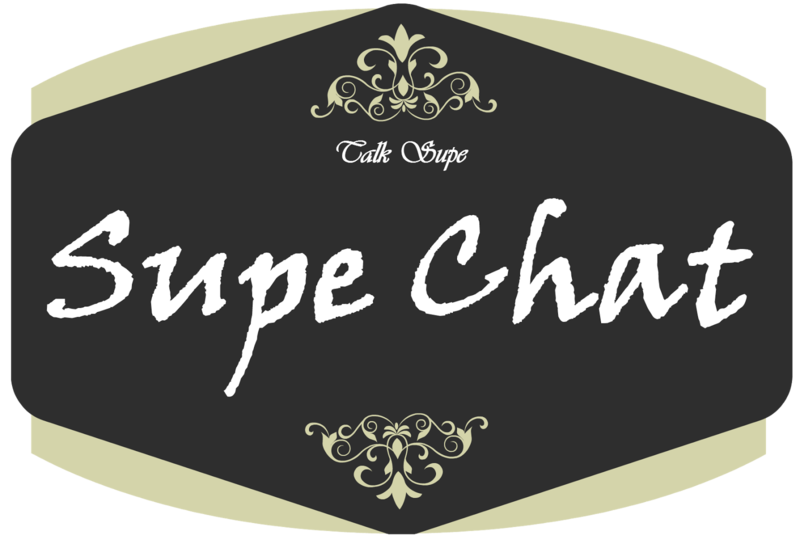 Hello and welcome back to Talk Supe! Congrats on your new book and series. I'm excited to dive into The Geomancer, I have to admit though, I missed Vampire Empire. Is that going to be a problem or will I be fine starting with The Geomancer and backtracking later on? We’ve tailored THE GEOMANCER to be an entry point for new readers to the Vampire Empire world. All characters and settings will be introduced and explained. While existing fans will fall right into the story again without a great deal of repetition, it isn’t really the fourth book of the trilogy. It’s a whole new thing, but with many of the same characters and the same setting as the trilogy. We didn’t want new readers to have to go back to read the original three Vampire Empire books, unless they want to . . . and we certainly recommend they read the trilogy because we’re very proud of it. Fair enough. For fans of Vampire Empire, what can they expect from THE GEOMANCER since it's the same universe, and what kind of freshness are we all going to get from it? The previous trilogy was about the coming of war and was painted with broad strokes and lots of characters to explore the politics of both sides of the conflict. But at the heart of that was the story of individuals desperate to overcome impossible odds. We want these new stories to take hold of those characters and keep them at center stage. Going forward, Adele and Gareth will be the focus, much like the first book in the trilogy, The Greyfriar. We love writing them; they are a wonderful couple. The new books will center around their relationship and their efforts to find a way to bring the warring sides to some sort of resolution. As the war works to change both their societies, they will travel the world and discover new allies and enemies. We want to show readers that there are aspects to both human and vampire society that they may not have expected. I'm sure fans of Vampire Empire were thrilled when news of THE GEOMANCER came out. What prompted this spin-off? The fans mainly. After The Kingmakers, we were content that the story of Vampire Empire had reached a suitable emotional conclusion, but so many people wanted the story of Adele and Gareth to continue. And to be honest, we realized we had a great number of stories left to tell in the Vampire Empire universe. Most of the original trilogy was set in the vampire territory of Britain and in Alexandria, capital of the human empire of Equatoria, but we only had limited chances to branch out to see how the rest of the world was shaped by the vampire-led Great Killing of 1870 and by the human crusade of reconquest in the current day. We want to show how the war impacts everyone else, so we will be letting our heroes travel more. THE GEOMANCER uses some of the old settings that the fans love, but we visit new locations in Europe as well as other parts of the world so readers can begin to see the variety in how vampire-human relations have shaped the world. I'm a big fan of Crown & Key. Although I loved that the novels were released in close succession, I'm left wanting for more. It ended too soon! Is it futile to hope that Crown & Key will get a spin-off too in the future? Thank you. We’re glad you liked Crown & Key. Those books were a blast to write. In terms of whether there will be more of them, all we can say now is you never know. We would love for it to continue. Those characters were a great deal of fun. We love Simon and Kate and Malcolm and Penny and Charlotte, and all the monsters and villains too. We’d love to be able to spin more of their adventures. If the fans demand it, perhaps there will be a chance. Fingers crossed Crown & Key gets a spin-off too, and maybe Penny, Charlotte and Malcolm can take the lead this time around. I am new to the Vampire Empire world, yet inspite of this handicap I managed to thoroughly enjoy THE GEOMANCER while simultaneously banging my head for missing out on the first three books. Adele and Gareth are awesome plus the Griffins are a powerhouse when it comes to writing fantasy. As mentioned, THE GEOMANCER is a continuation of Adele and Gareth's adventure. It gives us a good glimpse of the Empire now that Adele is its Empress, as well as her happily ever after with Gareth. The ever after is still pending. Obviously, peace is yet to be had between humans and vampires so the good fight is still ongoing with lots of interesting characters driving the story. I particularly like the Demon King, Lothaire and Caterina, as well as the other Geomancer. Now I can't compare if THE GEOMANCER is a great follow-up to the original series. All I can tell you is that I loved it and I hope that Vampire Empire fans will approve of THE GEOMANCER. It's packed with action while maintaining a strong story arc and developments in both plot and characters. I also love its epic feel and hints of Steampunk elements not to mention the odd pairing of Gareth and Adele aka Death Bringer. So would I recommend THE GEOMANCER to newbies? Most certainly! Even if I'm not knowledgeable enough of this universe, I was able to grasp the bare necessities and it's nothing short of awesome. And if anything, reading THE GEOMANCER has whet my appetite for more of Adel and Gareth so expect a Vampire Empire cherry popping sometime soon. Adele woke the next morning with Gareth beside her. He stared at the ceiling with one arm looped over her shoulders. Pressing into his side, she enjoyed the warmth for a few minutes longer. The posi­tion of the sun on the floor told her that it was long past mid-morning. “I could stay in bed all day,” she told Gareth. Gareth gave a huffing breath that could have been agreement. He sat up, taking the heavy quilt and allowing the frigid air to assault her body. She grabbed for her robe and raced for the coal grate to prod the embers. A faint orange glow throbbed, and she tossed several new pieces on the fire. Tending her own hearth would be forbidden at home in Alexandria, but there were few true servants in Edinburgh Castle and she kept them all out of this wing so she and Gareth could be alone. The nature of their relationship was kept secret, although no doubt rumors of all sort likely circulated around the city and beyond. Adele had little time to worry about that. This time together was the only common domesticity she and Gareth had ever shared, and she relished any touches of normalcy. Adele noted the wonderfully rumpled Gareth sitting on the side of the bed with his muscled legs stretched out. She found it alluring that he was so unaware of himself at all times. She wanted a picture. Her camera rested on a nearby table. It was a box several inches square with a lens on one side, a viewfinder on the back, and a single button on top. A simple but wondrous device that created instant memories and history. When Adele lifted the camera, Gareth gave her a mild warning glance. She shifted her focus to a yellow cat sitting outside the thick window. She pretended to click the shutter and gave Gareth a charming smile. When he looked away, she took a photo of him. “We’ll plan something.” Adele knew he was right, but didn’t want him going off alone. Breakfast was laid in a front room along with a roaring fire. Coffee, tea, and orange marmalade shipped in from Egypt. The Scottish farms provided eggs and bacon and neeps, or turnips, which the locals never seemed to tire of. Adele piled food on her plate, having pushed away the terrors of the night. Gareth didn’t eat, so he spent his time fighting curious cat paws away from the plate of bacon. They both heard footsteps coming rapidly down the hall and looked up to see Morgana in the door. She was the pretty young woman seen in so many of Adele’s photographs. Her face was red from exertion. Her normally soft eyes were wide. The young servant was barely twenty years old and quite pretty in a vigorous farm girl sense. Her brunette hair was long and nearly as uncontrolled as Adele’s. The two women had become fast friends and Adele trusted her implicitly. Morgana carried a sheet of paper in her hand that Adele recognized was a yellow tear-sheet from the telegraph pad. Morgana swallowed. “Miss, this message came this morning from Governor-General Condorcet’s office in London. It’s in code.” She held up several sheets, with her handwritten scrawls of letters that made no sense. Adele began working alone. Several minutes later Morgana returned with the commander of her Home Guard, a unit known as the Harmattan. In his heavy winter serge, Major Shirazi stood at the door, his worried eyes staring at the coded sheet, and then up at Gareth. Adele and Morgana sat at the table and worked together with the codebook. Gareth paced, pausing to study the women conversing, running their fingers down columns of symbols, and writing. He failed to notice that Pet had captured an entire plate of bacon and carried it off piece by piece until the cat collapsed by the fire unable to move. The room was deathly quiet but for the scratch of the pencil on the paper and Adele’s quickening breath. The words fell into logical place. Finally, she scrawled out the last Arabic word and sat with pencil trembling. “What is it?” Gareth stood at her shoulder. He spoke Arabic flu­ently, with several regional accents, but he couldn’t read it. “Vampires.” Adele’s voice almost broke. Shirazi stared at Gareth, clearly suspicious of the vampire lord’s emotional outburst about Adele’s well-being. Gareth spun with such fury that Adele bolted to her feet, fearful he was about to fly across the room and attack the soldier. “Yes, miss.” Morgana’s voice lowered with disappointment at the political tone of Empress Adele, now sounding as if she was again at war. 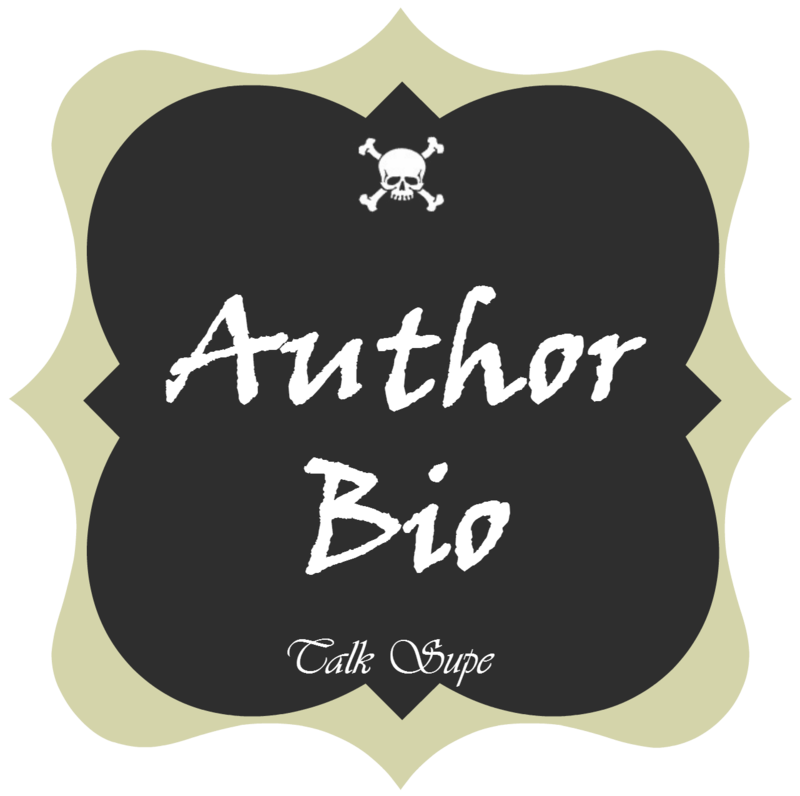 Clay & Susan Griffith are a married couple who have written and published together for more than a decade. Their credits not only include two novels for Bantam Doubleday Dell in the mid-1990s and another novel for Pinnacle Entertainment Group in 2002 but also numerous short stories published in many anthologies, some featuring noted genre characters like Kolchak the Night Stalker and The Phantom. They've also written scripts for television and published graphic novels. I'm glad to see you had a great time with the book! I really need to try a book by the authors. thanks for the little interview as well! Well that definitely sound different. I do like different so I might have to look into this one. Thanks for the review. Different is good, need to broaden our horizons and try something safe once in a while. I hope you get to read their work soon, I'm such a fan! I think I said here recently that I've always wanted to read Vampire Empire...and I'm definitely going to now. I'm so glad you were able to enjoy The Geomancer despite jumping in this late in the game, Braine. And I really appreciate the interview with the Griffiths! Glad you can jump right into this one and not be lost, I was wondering about that since I haven't read the original. I do so hope that the Crown & Key gets more books, I adored it and wasn't ready at all for it to be over. I would love the have the secondary characters take lead this time, that would be so much fun! This sounds interesting and it's always great to be able to jump right in! I was nervous, I'm glad it worked out for me. I have been seeing this book around and everyone is liking it. I am glad to know I can jump in without having read the other books. I know you're a VE fan, I hope that you'll enjoy this. Maybe you can get me caught up and entertain my questions about stuff that I missed. I enjoyed the first two books in Vampire Empire but still need to read the third. They are time consuming books which is hard for me. But maybe I'll get the third on audio or something. It really is an epic story. I'm excited for this one too! Lovely interview and review Braine :) Glad to see you enjoyed the book! Thanks for checking it out, Mel! I'm taking your 'head banging' to heart. I will start with the earlier series and resist the urge to grab this one. Yes, I think it's best to start from the beginning so you can fully enjoy this new chapter. Happy to hear that you were able to really enjoy this without having read the other books! Their Crown & Key series looks really good, too; going to have to check out both series. oohhhhh! Vampires and Steampunk, I can get with that! Hey, So happy to see your review over at BB! Miss you girls! muah! Oh Wow Braine, I LOVED The Vampire Empire what a great mix of Steampunk and fantasy and now we get a brand new series WOOT! And thanks for the chat w/the authors. Its the Bomb!!! Fantastic! I hope you love this continuation!! Oh wow, okay this one looks like something I REALLY need to read. It sounds super good! Definitely a new to me book. I don't think my previous comment conveyed how excited this book has me. I just need my Christmas book money! Come on December! I hope you get a lot of christmas money!! I need to read this series. It's been on my list, I just have found the time yet. I hope you find the time soon, Angela! Great post!! 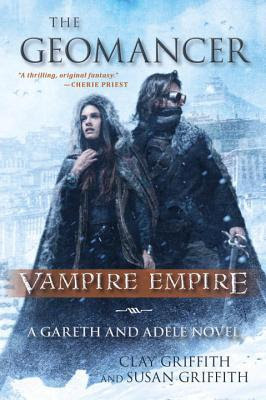 I know for one thing, that after reading THE GEOMANCER I so want to go back and try Vampire Empire and get to know all those facets about Adele & Gareth. And, like you mentioned we need more Crown & Key!! I feel you, I'm the same way and I hope they make a new C&K book in the nearest future. Like next year! That's good to know readers can start with this trilogy! I like spinn-offs, although i usually rea dthe first series first as else it often feels like you're missing something. And then you don't know who are recurrign characters and who not, so usually I just try to start at the beginning, I like the sound of this series with the conflict between vampires and humans. And that whole geomancing sounds interesting as well. I never heard of this series before, so thanks for brining this to my attention. I know, I'm glad it managed to get away with it sort of. I plan to read VE next year, I hope I get around to it. Oh you have to read the trilogy, Braine! I just finished the last book and Geomancer is next on my to-read list. It's good series, especially on audio.